After months of travel, you’ve arrived at Duonia, home to the famous temple that’s the destination of your pilgrimage. The walk from the welcome center to the temple isn’t a long one … but there’s a problem. 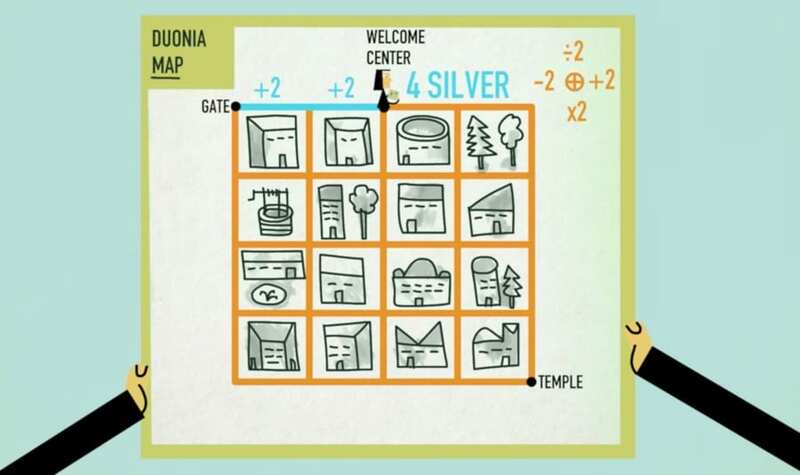 Can you outsmart the city’s imposed tax and make it to the temple without paying a fee? Your tax total begins at 4. Walk east one block, add 2. Walk west a block, subtract 2. Walk south one block and your total doubles, but you can divide your total for every block walked northward. How can you get to the temple with a zero balance? And without walking the same path twice? Grab a pencil and paper to solve this puzzle by Daniel Finkel: Can you solve the penniless pilgrim riddle? Can you solve the dark coin riddle or the fish riddle next? 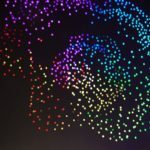 The Crazy Circle Illusion – How are these dots moving?